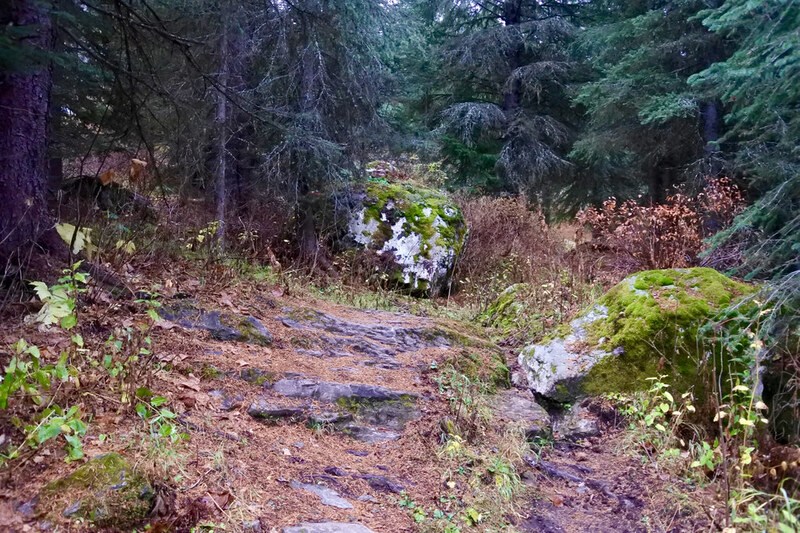 That day was cold and cloudy, good for hiking but I would have preferred a clear sky for photos. 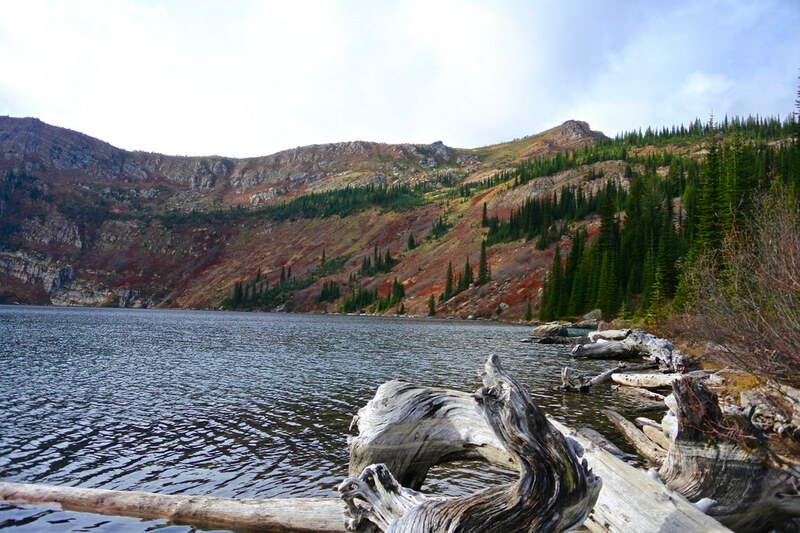 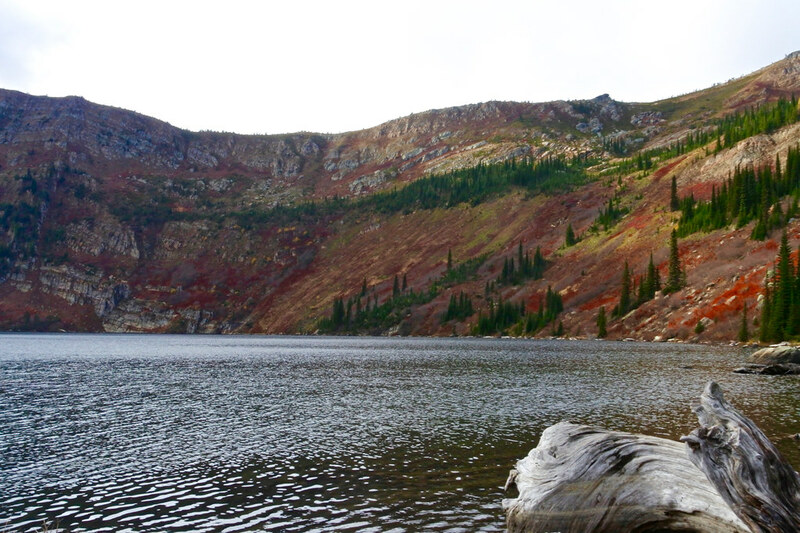 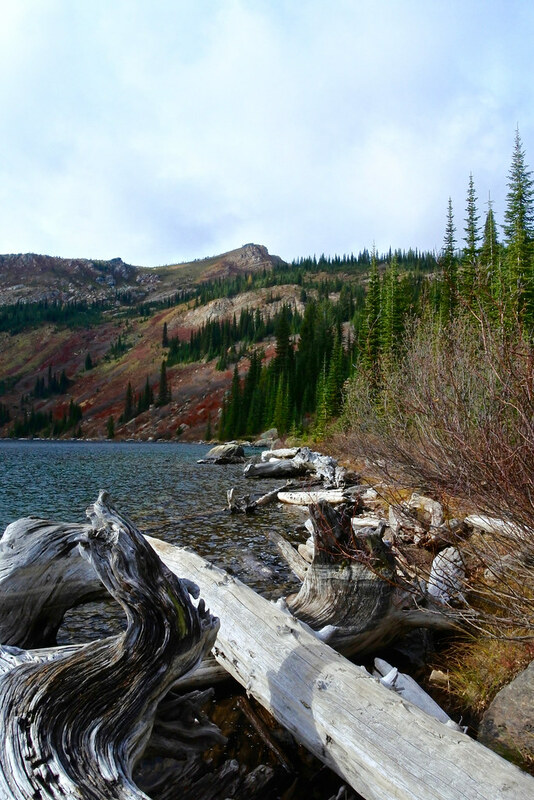 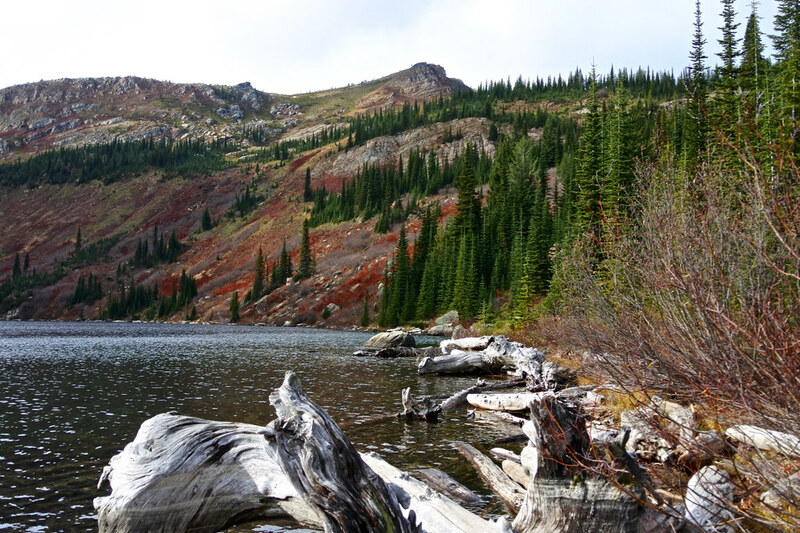 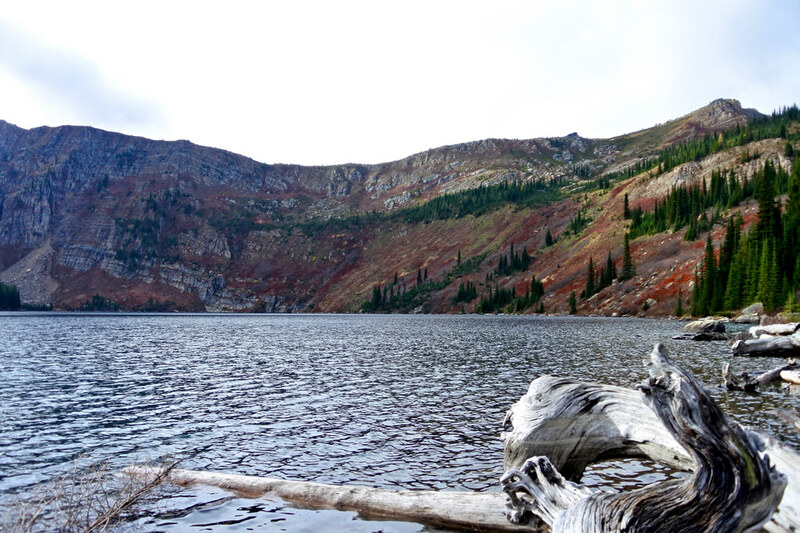 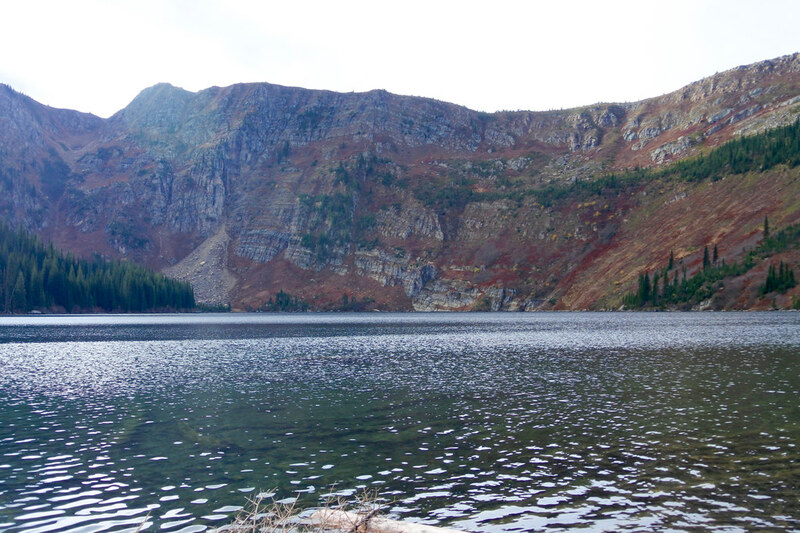 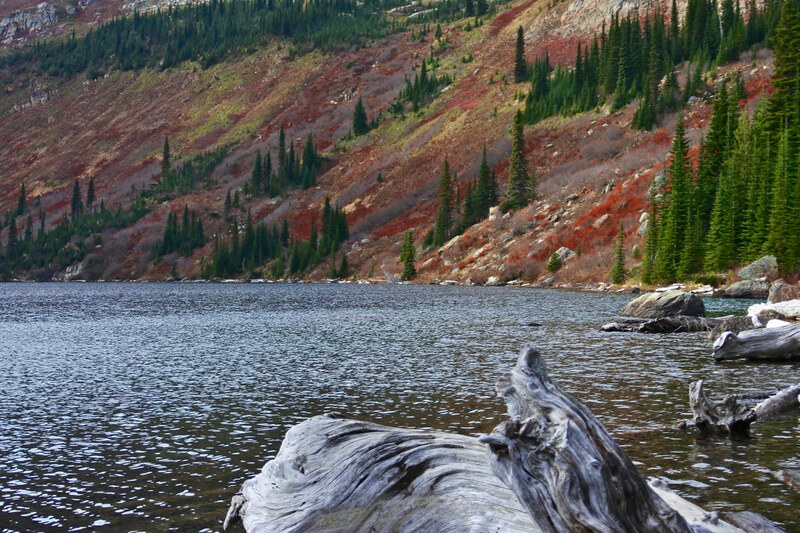 Heart Lake is the largest alpine lake on the Montana side of the northern Bitterroot Mountains, located in a cirque basin just below the Montana/Idaho divide in a huge area known as the Great Burn which is part of the three million acres that was burned in the fire of 1910. 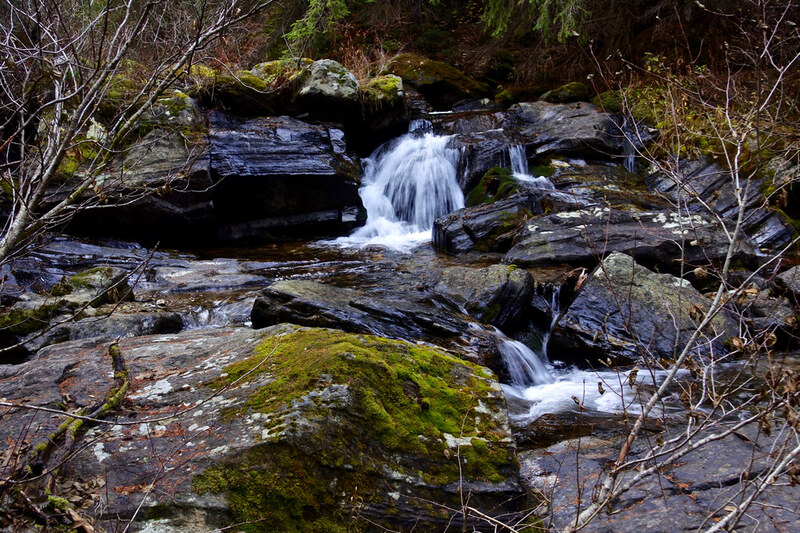 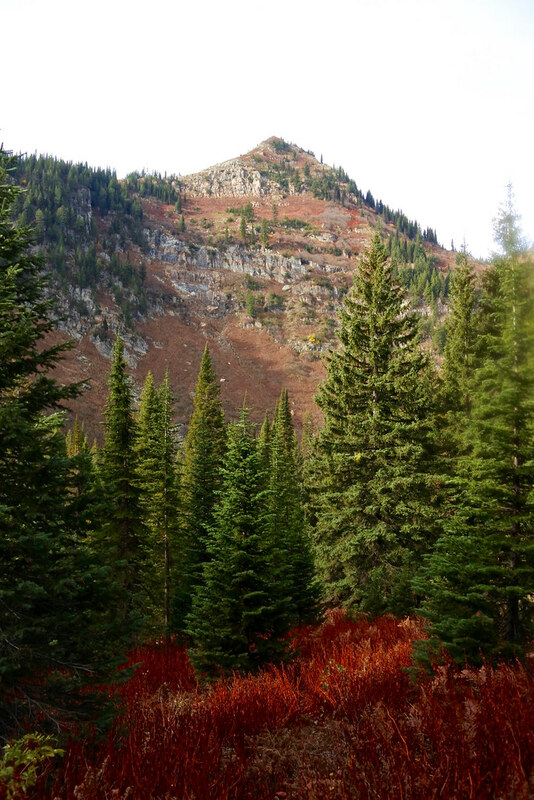 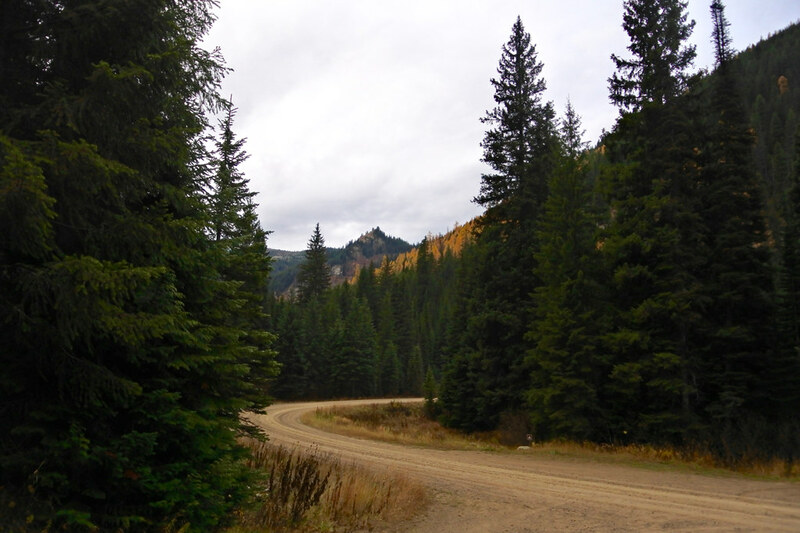 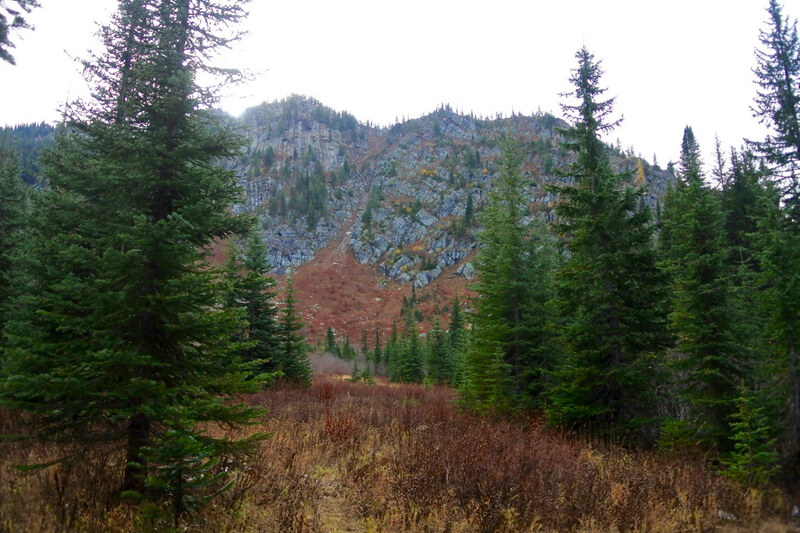 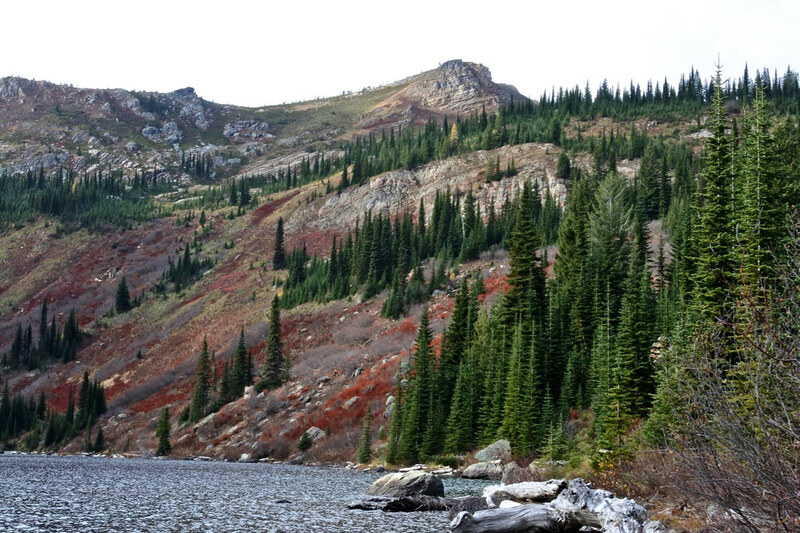 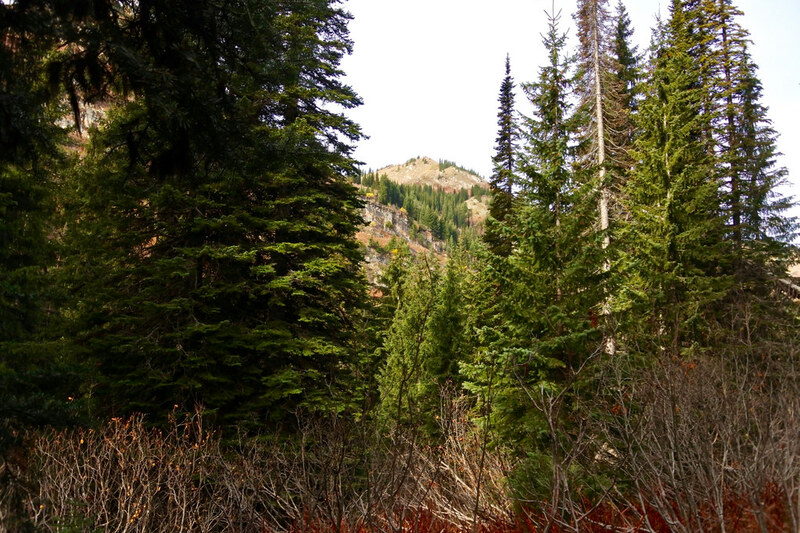 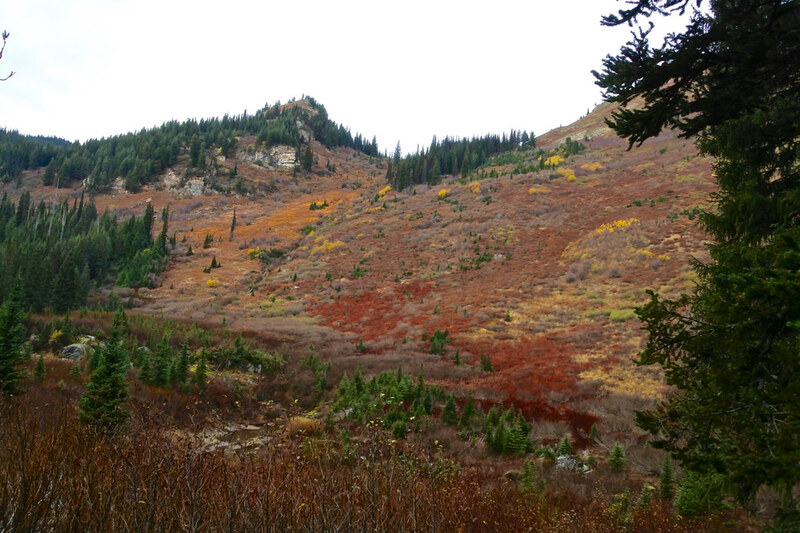 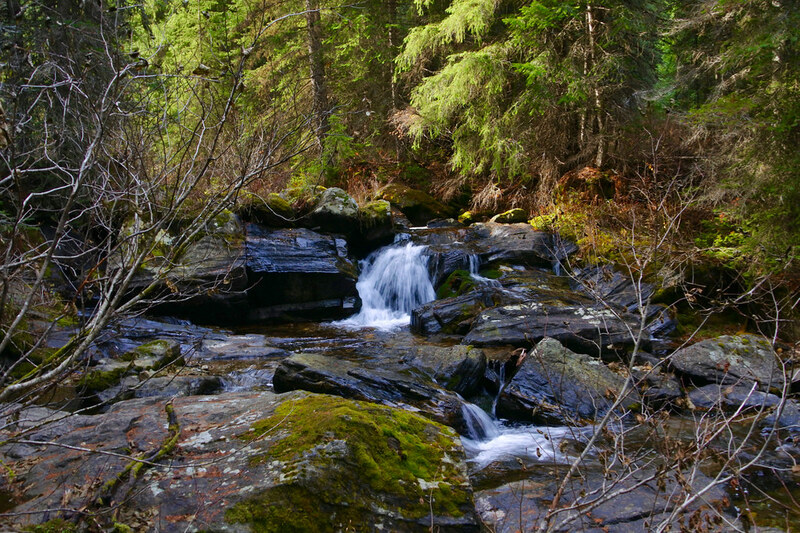 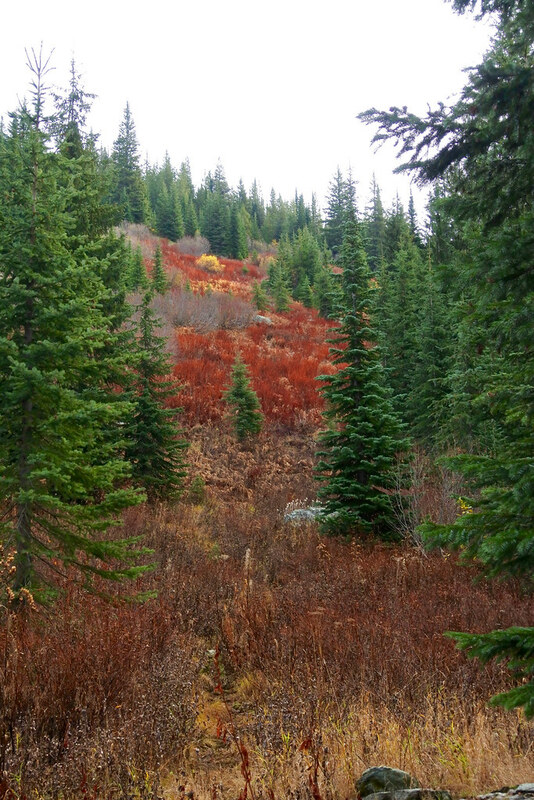 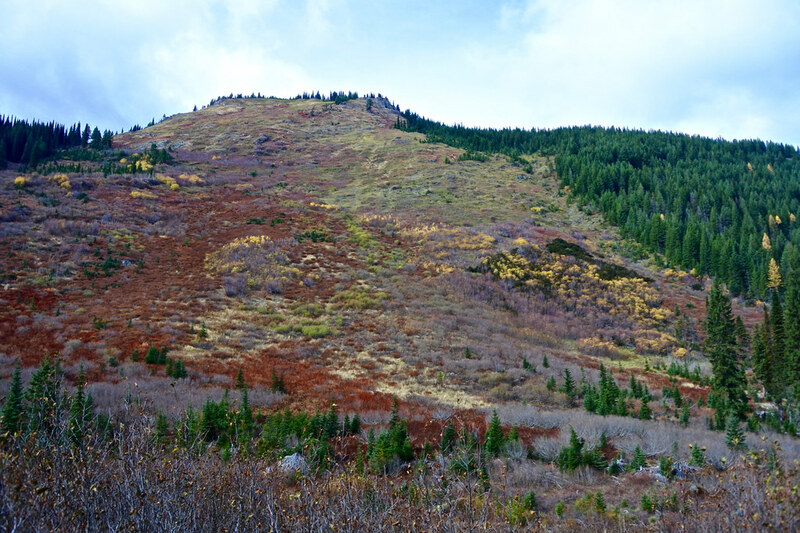 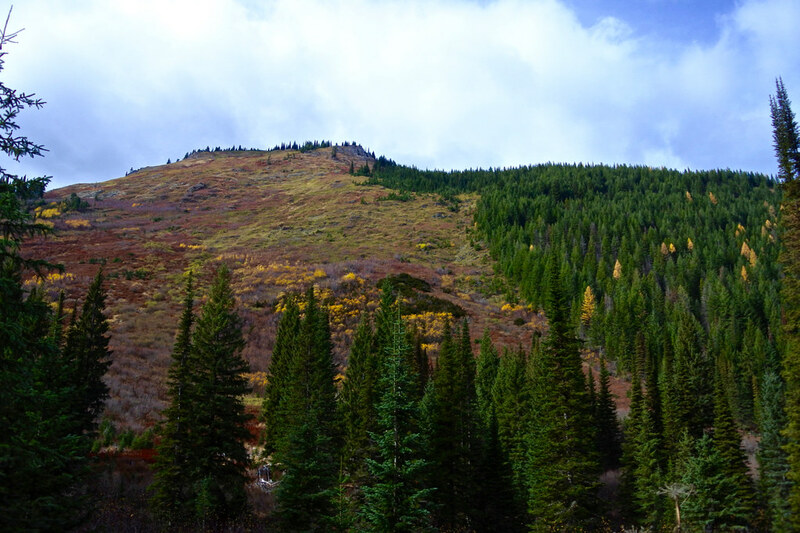 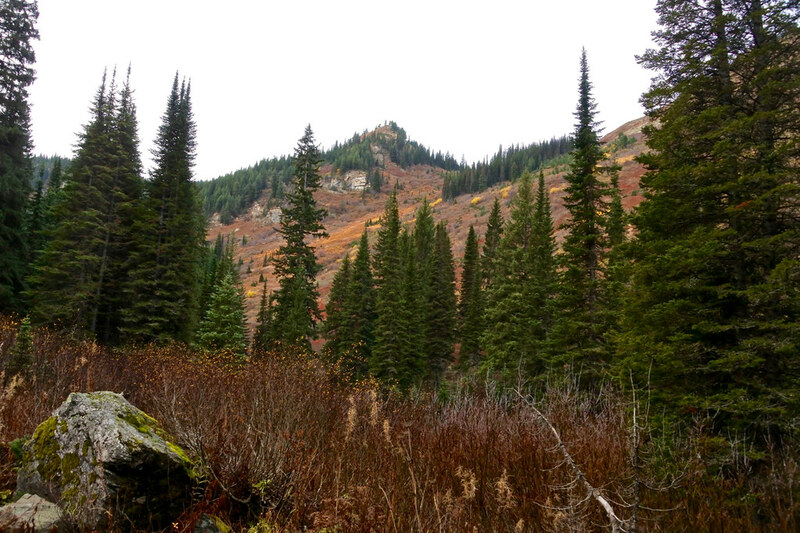 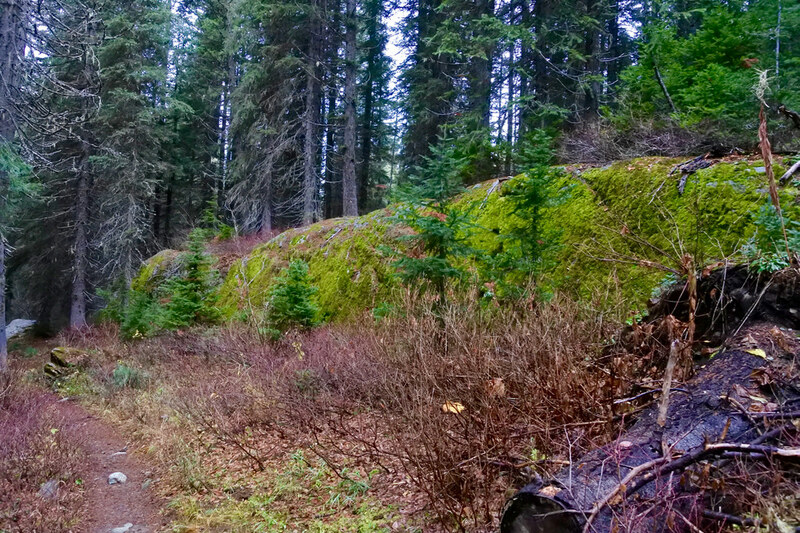 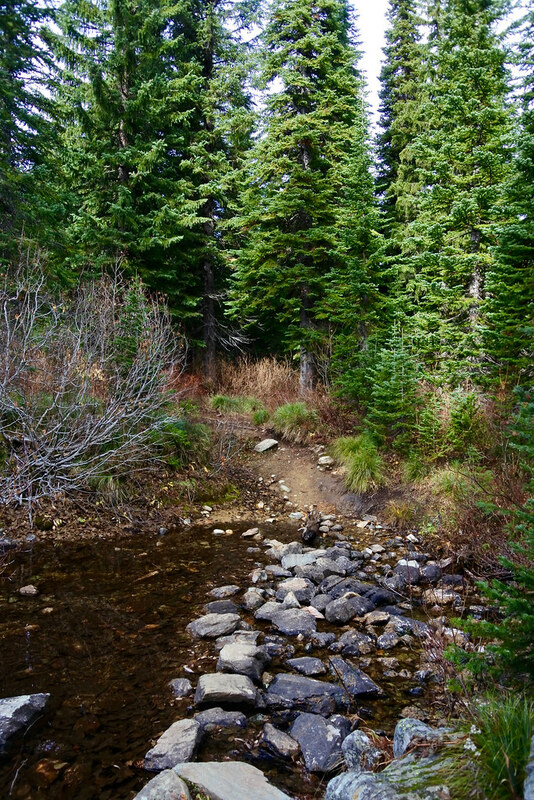 On October 22, I hiked up to it on the part of trail 171 that follows the South Fork of Trout Creek up from USFS road 250. 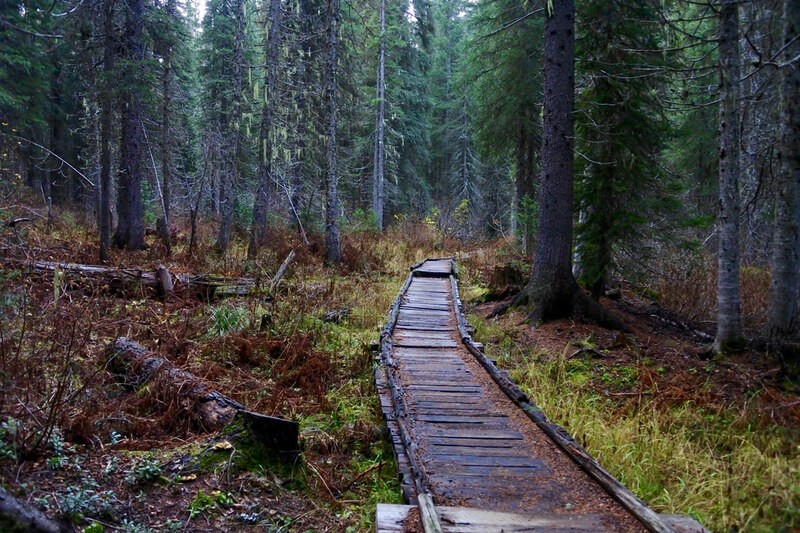 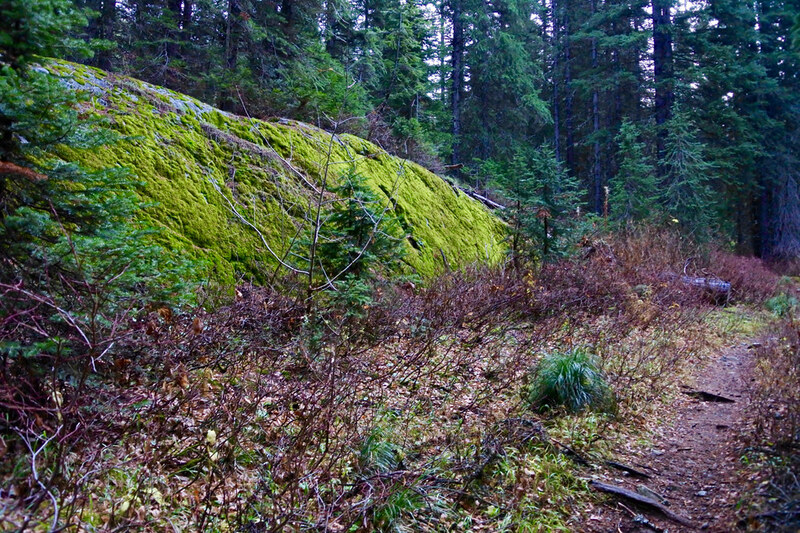 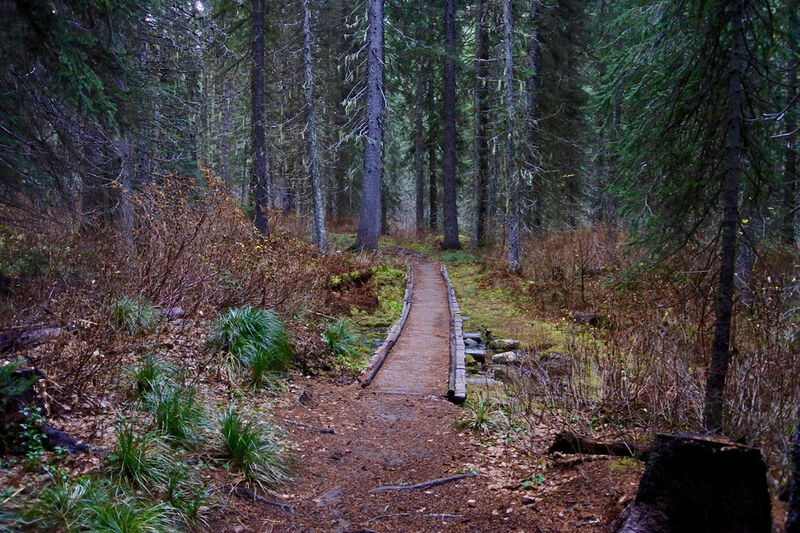 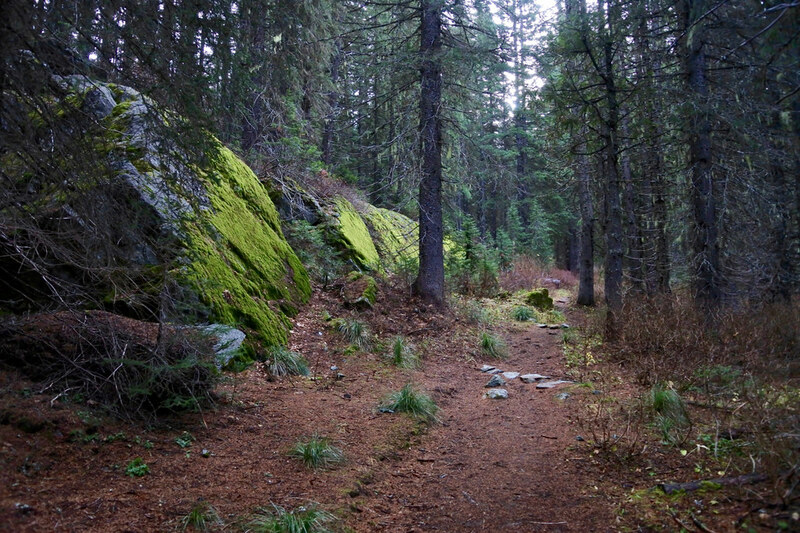 Following are photos taken from along the trail. 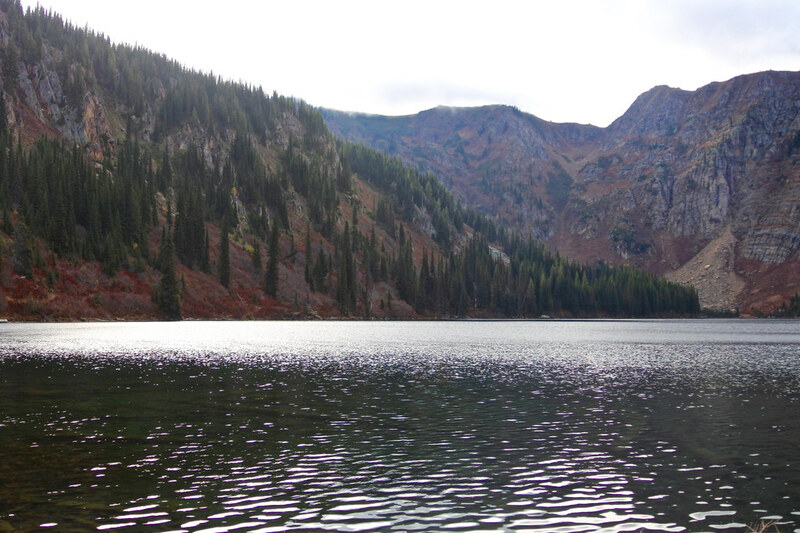 I will post photos of the lake itself in part (2).